What does it take to succeed online? Shouldn’t real-world influence transfer into the digital world? The introduction of computers and smartphones has changed the business world and yet many still do not understand how new digital platforms fit into the business realm. These platforms are a new tool in a businessperson’s toolbox. They have different functionality, but when used properly in conjunction with other tools, they can lead to business success. Lukas Kurzmann, CEO and co-founder of Women’s Best (@womensbest), grew his online empire to a reach of over 150 million people and 8-figures in annual revenue. 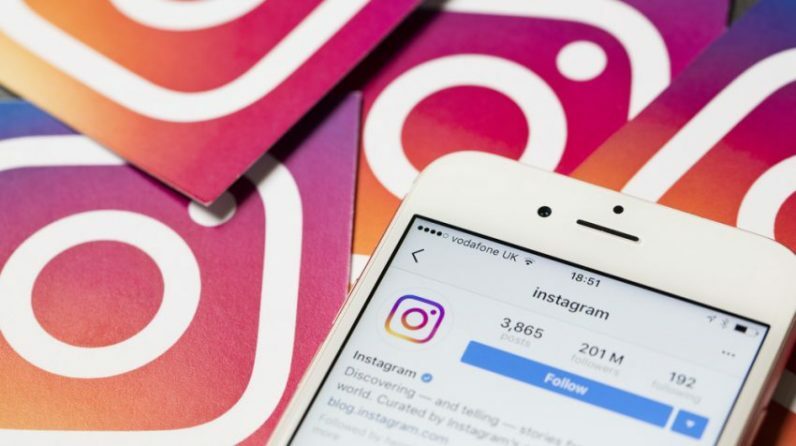 Instagram has become a major component of their brand with over 2 million followers and collaborates with other aspects of the business to drive revenue. After speaking with Kurzmann about how Instagram works with his business, I have gathered the most important takeaways for anyone looking to use Instagram for business growth. Throughout our conversation, Kurzmann continued to focus on ways that put his consumers first. Whether it is launching a product, deciding what content to create, or picking influencers to work with, everything Women’s Best does is done to create a positive environment for women online. Many entrepreneurs get greedy and believe they can strike a balance between profiteering and audience building. Ultimately, though, if your profits are in the interests of your consumers, you will find long run success. As you hone in on your customers, focus on the metrics without getting lost in the numbers. In other words, read the data and talk with customers to get an idea of what they like and dislike, but be weary of letting the data justify a conclusion you do not believe is true. Nuances in taste allow for the best value creation and capture opportunities. Since this new digital platform has been created by the youth and the tech-savvy, they have established a series of rules, norms, and styles that are unique to the platform. Altogether, this digital language is crucial for allowing your brand to succeed. If your pictures are not up to quality, captions are whack, or you appear too spammy, then your actions will only hurt your brand. Furthermore, each niche on Instagram has its own norms. Once you understand your consumers’ tastes, figure out how they act on Instagram and what they look for in terms of content. This will allow you to develop a fluency in their Instagram style language and effectively communicate your brand message. You should also be hesitant to adopt aspects of a cultural language that you do not understand. For instance, Pepsi and Dove have both launched campaigns utilizing cultural memes that backfired from improper delivery. In looking to expand their reach and gain followers, Women’s Best tries to create content that sparks positive conversations. Since Instagram is a social media network, it stands that viral content is what starts the most conversations. As you try to deconstruct what sparks a conversation, try to understand what your audience is interested in, why it interests them, and what makes them want to engage with content. Ultimately, these questions should layout what your content plan is and how you can create viral, high-quality content. Kurzmann utilizes Social Blade and Salesforce for all of the automation and data analysis behind Women’s Best. These tools are essential for content creation because they help manage your schedule, streamline your work, and give insights into increasing your performance. What if you knew the optimal times to post different content styles for maximum engagement? While most will not go as far as learning data analysis or integrating software into social media, these practices are what will separate the winners from losers. As a business, Instagram channels are only as good as their analytics, so your success requires you be as skilled as possible in understanding and maximizing your analytics. In order to boost the Women’s Best Instagram and overall brand, Kurzmann has introduced a number of cross collaboration campaigns to boost engagement. Firstly, Kurzmann has integrated all of his various content channel analytics and linked email with Instagram to improve their audience demographics and ad targeting. Beyond this, Women’s Best sponsors a wide variety of events and expos, which allows them to have a face-to-face interaction with their consumers. Each event generates a massive increase in followers and engagement on their Instagram. Utilizing cross collaboration techniques lets you find ways of driving Instagram interactions besides just the discovery pages. Instagram can do a lot of good for a business. It requires you to understand how to use it effectively, but can also work in conjuncture with other elements of marketing and sales. When you optimize the performance of your Instagram and other channels, you will create a powerful and sustainable revenue generating business.